Q: What is the Houston Ship Channel Security District? A: The Houston Ship Channel Security District (the “District”) is a political subdivision of the State of Texas created by the Harris County Commissioners Court in 2009. The District is governed by an 11 member Board of Directors, 8 of whom are nominated and employed by private industry facilities located within the boundaries of the District. 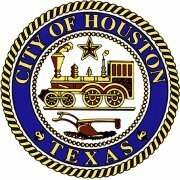 The other three Board members are appointed by (one each) and represent The Port of Houston Authority, Harris County, and the Harris County Mayors and Councils Association (representing the various municipalities located within the District). Q: What is the purpose of the Houston Ship Channel Security District? (iii) provision and/or sponsorship of periodic safety and security training opportunities for facility employees and local law enforcement partners. The District also seeks to encourage greater coordination between the United States Coast Guard and local law enforcement agencies relative to deployment of assets and incident prevention, response and management. Q: How does the District finance its activities and the support it provides to state and local law enforcement agencies? A: The District’s primary source of funding is through assessments imposed on facilities located within its boundaries. The District has also received federal grant funds through the Port Security Grant Program and voluntary annual contributions from the Port of Houston Authority. Q: Who qualifies as a “facility” within the District? A:Entities located within District Boundaries meeting these qualifications set forth in Chapter 68 of the Texas Water Code are deemed “facilities” for purposes of being entitled to the benefits provided and subject to assessments imposed by the District. Residential property and most retail businesses and utilities are excluded from the definition of a “facility”. Q: What is the relationship of the Port of Houston Authority to the Houston Ship Channel Security District? A: While certain governmental entities, including cities, counties and other political subdivisions (such as the Port of Houston Authority), are not subject to assessments imposed by the District, such entities may contract with the District to pay assessments under terms the District and the governmental entity find mutually agreeable. The Port Of Houston Authority, with its jurisdiction over the waterway and a strong interest in the safety, security, and environmental quality of the Port of Houston as a whole, has agreed to provide financial and other support to the District consistently since 2010. Additionally, the Executive Director of the Port of Houston Authority, or his/her nominee, serves as a member of the Board of Directors of the District. Q: Who are the public partners of the Houston Ship Channel Security District? 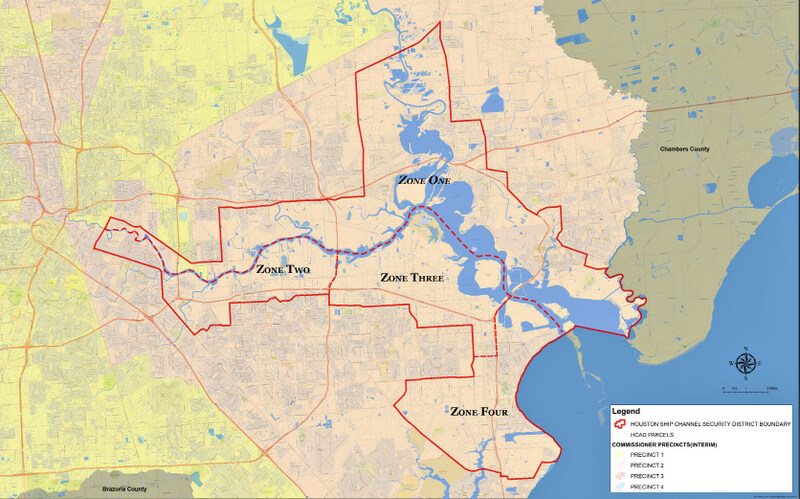 A: The regional public partners of the District include the Port of Houston Authority, Harris County (County Judge’s Office, Precinct 2 Commissioner’s Office, Harris County Sheriff’s Office, Public Infrastructure Department and Communications Technology Center), City of Houston, City of Baytown, the United States Coast Guard, and several other local public entities. Q. What are the benefits of the District? (v) encouraged coordination of risk prevention and incident mitigation efforts among multiple local law enforcement agencies and public partners with a focus on business continuity for the Houston Ship Channel region and associated supply chain. Q. How much are the annual assessments imposed on facilities within the District? How are the amounts determined? A. The Board annually adopts a Plan of Assessment, which sets forth the assessment amounts for each category of facility. The annual process developing the Plan of Assessment is initiated upon receipt of funding requests from prospective partners. The Board of Directors engages in an open discussion regarding the feasibility, sustainability, necessity, and level of benefit to be derived from each proposed project and initiative. The Board then adopts an annual budget based upon the revenue requirements to fund the approved projects and initiatives, as well as the general operating expenses of the District. A proposed Plan of Assessment is developed that allocates the assessment obligation for facilities based upon the relative benefits to be derived those facilities. The proposed Plan of Assessment is provided to all facilities subject to assessment in advance of public hearing on the Plan. Following the public hearing, the Board considers all comments and questions received prior to adopting a final Plan of Assessment. Once the final Plan of Assessment is adopted by the Board, assessment statements are mailed to each facility owner. Q. Who collects the assessment payments? How are the funds held? A. The District has contracted with the Greater Houston Port Bureau to serve as the District’s administrator, including handling the billing and collection of assessment payments on behalf of the District. All funds collected are deposited immediately into the District’s bank account and the District is required to hold the same in accordance with State law applicable to governmental entities relative to the safety and security of public funds.